Process Addiction | Coeur d'Alene Counseling, Inc.
Any process to access any behavior that serves as an escape from any type of despair or discomfort may be a process addiction. The following descriptions are different process addictions commonly treated at Coeur d’Alene Counseling. Gambling addiction, sometimes called “problem gambling,” is an impulse-control disorder. Compulsive gamblers can’t control the urge to gamble, even when they know it has negative consequences that will hurt themselves and their families through strained relationships and financial problems. Unpleasant feelings — such as stress, depression, loneliness, fear and anxiety — can trigger or worsen the disorder. Compulsive gamblers continue to gamble though they know the odds are against them, and they can’t afford to lose. Problem gambling can strain relationships, interfere with responsibilities at home and at work and lead to financial ruin. Individuals struggling with a gambling addiction may feel the need to be secretive about their gambling, have trouble controlling the urge to gamble, gamble money they do not have, steal or cause family and friends to worry about their gambling behavior. Gambling addicts get the same rush from gambling as other addicts get from drugs or alcohol. 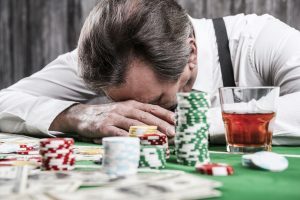 The act of gambling alters an addict’s mood, compelling him or her to gamble in order to achieve a “high.” Just as alcoholics and drug addicts develop a tolerance to alcohol and drugs, the gambler will need to gamble more and more to achieve the same effect. The continuous search for that “high” ultimately develops into an addiction. At Coeur d’Alene Counseling, cognitive behavioral therapy, task-based modalities, and other techniques help clients change unhealthy gambling behaviors. Problem gamblers learn how to control their urges, deal with uncomfortable emotions and resolve underlying issues that brought about the addiction with our gambling addiction treatment. Love addiction is described as one person “loving” another person with an obsessive intensity that is not in the best interest of either party. Love addiction is a painful, compulsive and addictive disorder that negatively impacts not only the addict but the object of their obsession. Coeur d’Alene Counseling’s Love Addiction Program helps our patients to overcome root issues and take steps towards experiencing healthy, fulfilling relationships. Love addicts tend to focus a tremendous amount of energy on romantic relationships—whether they are involved in one, looking for the next one or avoiding one altogether. They tend to become involved in brief, intense romantic relationships. If they are involved in a long-term relationship, it is usually characterized by many highs and lows. In some cases, love addicts completely withdraw from romantic or sexual relationships to avoid feelings of vulnerability. Love avoidance is the refusal to show love for someone out of fear of being hurt. Individuals who turned to love avoidance carefully guard themselves when in relationships. These individuals avoid intimacy in order to protect themselves from rejection, loss and the types of pain that accompany an intimate relationship. People who suffer from love avoidance do everything they can to conceal their vulnerability from others, especially loved ones. Love avoidance does not literally mean avoiding love, rather it is an unhealthy way of reacting to relationship trauma. Love avoidants have past experiences of feeling unwanted or unloved, which result in a need for excessive acceptance, praise and compliments from their spouses, partners or loved ones in order to enhance their self-esteem. 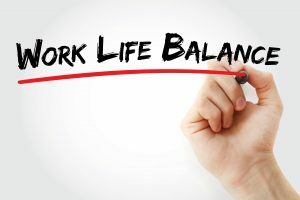 Work addiction is a condition in which individuals are unable to set healthy boundaries around their job schedules. Work addicts use work as their source of satisfaction in life. This choice not only affects the addict, but family and co-workers as well. What are the effects of Work Addiction? Work addicts are constantly driven to perform and are unable to relax or feel a sense of accomplishment. Their behaviors are self-imposed and based on inaccurate self-perceptions, stemming from underlying emotional problems. Work addicts generally exaggerate their importance and accomplishments, using work to avoid negative emotions. For more information on process addiction treatment, call (208) 755-7114.